A selection of all our Spanish Civil War related aircraft models. 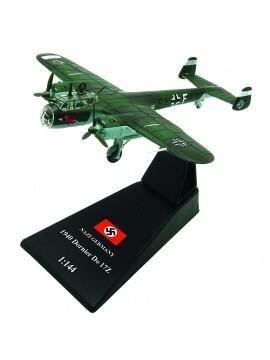 A 1/144 scale model of a Nazi Germany 1940 Dornier Do 17Z (L/KG 76) - A light bomber used during World War II, designed as a fast bomber which could outrun defending fighter aircraft. 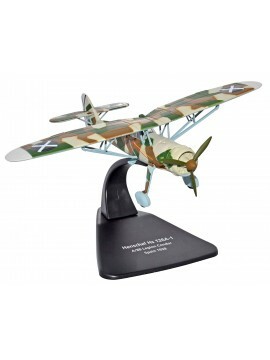 A 1/72 scale model of a Nazi Germany 1942 Messerschmitt BF 109F-4 (III/JG54) - A German World War II fighter which was the backbone of the Luftwaffe's fighting force. First serving was in 1937 during the Spanish Civil War and was still in service at the start of the jet age. A 1:72 scale model of a German Condor Legion Henschel HS 126A-1 - Used during the Spanish Civil War in 1938. 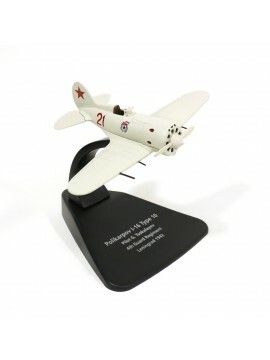 A 1:72 scale model of a Polikarpov I-16 Type 10 (4th Guard Regiment) - A Soviet fighter aircraft of revolutionary design - the worlds first low-wing cantilever monoplane fighter with retractable landing gear. 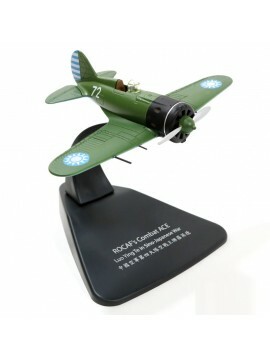 A 1:72 scale model of a Polikarpov I-16 (Republic of China Air Force Combat ACE) - A Soviet fighter aircraft of revolutionary design - the worlds first low-wing cantilever monoplane fighter with retractable landing gear.